This is a sewing pattern to make your own baby jumpers. The design is reversible so you can use two fabrics for two jumpers in one! Use the baby jumper as a summer tank dress or as a winter jumper over a long sleeve shirt and tights. 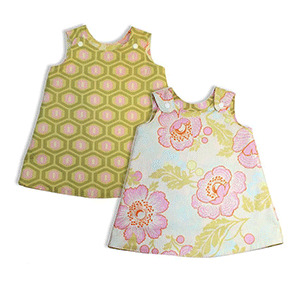 This will be your favorite "go to" pattern for a quick and easy outfit for your baby. 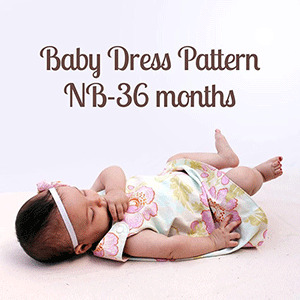 This pattern is available in sizes newborn to 36 months.